Executive | Ce n'est plus ce que c'était ! ça fonctionne maintenant. 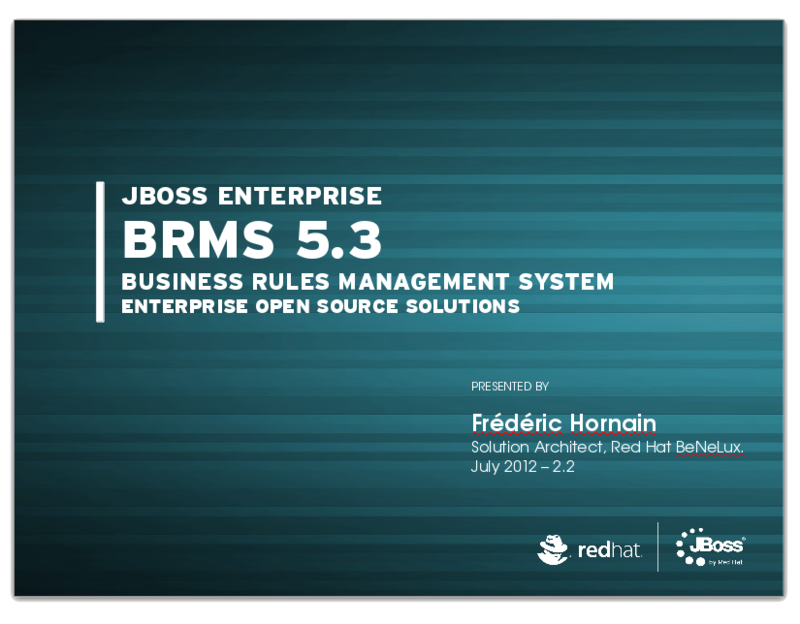 I am going to do a presentation about “JBoss BRMS 5.3” in Brussels in July 2012. In meantime, you can watch in the following video what BRMS 5.3 can do. I am going to do a presentation about “Red Hat Storage 2.0” in Brussels in July 2012.